Now the boy, the soldier, the writer, the orator, the politician, the statesman and the family man are all brought to life in this absorbing illustrated book, now newly published in paperback. Featuring both letters to 'Mama' from the homesick - but rebellious - schoolboy and telegrams to Stalin, it highlights some of the most gripping communications from the Churchill Archives. Facsimiles of hand-annotated speech notes are paired with fascinating memorabilia, such as the poster for the reward for his capture during the Boer War, a specimen of one of his infamous cigars, a favourite gramophone record and his Parliamentary despatch box. This book also showcases pictures from his family photograph collection, providing a more intimate portrait of Churchill the husband, the family man and even Churchill the animal lover. 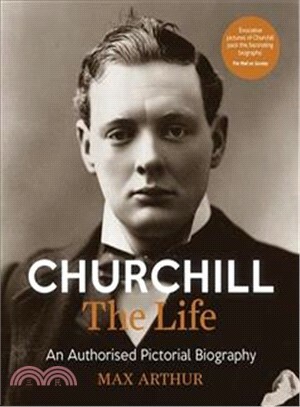 Exhaustively researched, Churchill: The Life includes previously unpublished images - such as Winston as a cadet at Harrow and his casket's final journey into Bladon cemetery - as well as rare images of him as a baby and specially shot artefacts from family archives.